Over the last few years, I’ve spent a lot of time along the San Pedro River in Southeastern Arizona. As a nature photographer and biologist, the river has taught me the value of its presence as a key connection in Nature. It has also given me many beautiful photographic images along its banks. I’m fascinated as to why the river is here, what sustains it, and why it is so important. 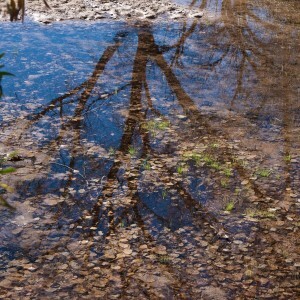 The answers to these queries are revealed as one begins to understand the dynamic connections that this river has with other patterns in Nature. Indeed, by looking at Nature’s connections, one begins to understand Nature’s patterns. 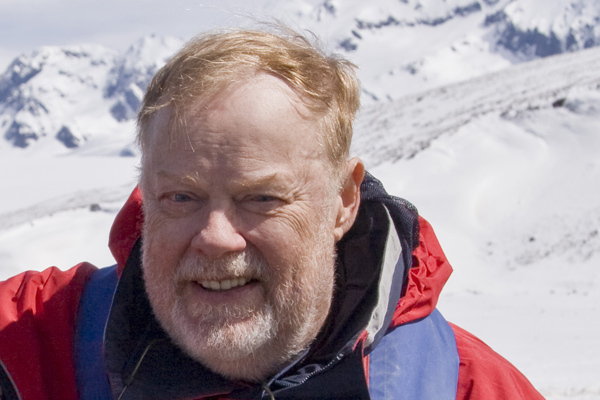 In a recent post, From Raindrops To Rivers , I characterized a river as a natural connecting mechanism “that transports water to all forms of life and directly affects the shape and composition of inanimate forms of Nature”. 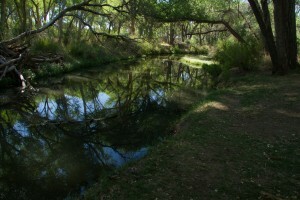 The San Pedro River offers a living demonstration of the importance of connections within Nature. 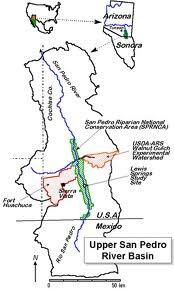 To give you a little background, the San Pedro River is a south to north flowing river that begins within the mountains near Cananea, Sonora, Mexico and flows 140 miles into the Gila River near Winkleman, Arizona. It is the last large undammed river in the Southwest. The river’s source of water is mountain springs and rain runoff from mountain ranges that lie on either side of its course. According to Wikipedia, the river “is of major ecological importance as it hosts two-thirds of the avian diversity in the United States, including 100 species of breeding birds and 300 species of migrating birds”. The San Pedro River valley basin is bordered by mountain ranges to both the west and the east. It is filled with sediment layers and erosion (alluvial fans) from the nearby mountains. Water from rains, mountain runoff, and springs collects in the basin creating a perennial water table just below the sediment surface. Heavy rains have created gullies that reach below the water table and form the actual river. Depending on the time of the year and the geology of a particular section, the river may be flowing above ground or may be flowing below the sediment surface. The lesson from studying ecology is that all of Nature’s systems and her parts are connected. The enormous “draw” that this riparian area has on species from other geographic areas is a significant connection in Nature beyond the immediate region. The water on and below the sediment surface is the keystone connecting pattern in Nature that drives the rest of the ecology that I’ve mentioned. It is the lifeblood supporting the waterside plants. The cottonwood trees and other plants need stream water to move seeds into the sediment and germinate these seeds. The trees and other plants are the habitat for the birds and other creatures. Without the habitat supported by the water, wildlife could not survive here. If the water were to disappear, the abundance of life would disappear. The population of the town of Sierra Vista has exploded in recent years, driven largely by nearby Fort Huachuca, the U.S. Army post that is the largest single water user in the valley. Fort Huachuca is driving human population growth and excessive, uncontrolled pumping of groundwater both on the military facility and in the surrounding community. Unless things change soon, the San Pedro will resemble the lower reaches of the Santa Cruz, Gila, Salt and other Arizona rivers: dry, treeless and devoid of the diversity of life that once graced its waters and shores. If humans refrain from removing water, the San Pedro River will continue its role as a dynamic sustainer of life. 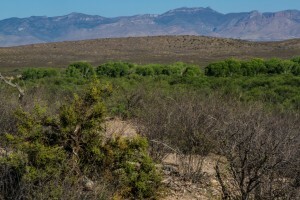 Fortunately, a number of organizations have recognized that the water in the San Pedro River is a keystone connection in Nature. Through legal action and habitat restoration activities, there seems to be a gradual improvement in the hydrological condition of the river. 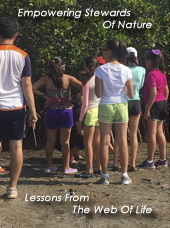 I encourage you to visit this ecological treasure and engage with this living demonstration of a dynamic connection in Nature. Your comments are always welcome. To receive a notice whenever I post a new blog, please sign up for my newsletter. Thanks Shannon for your beautiful and insightful quote. And Fort Huachuca will grow even larger as other military posts are closing, sending their remaining military to Fort Huachuca which is, at this writing, tripling the construction of new housing for these incoming military families. Asking them to leave is like asking Homeland Security to take a rest. I ache for this river; I cry for her trees. Hi Susan: I totally agree with you. However, there are people who feel strongly that Ft. Huachuca is working hard to limit its withdrawl of water from the aquifer. I’m reminded that it took lawsuits and pressure from various groups to get them (and other government groups like the BLM) to respond to the crisis and to come this far. It’s almost a physical ache I feel when I hear of another natural resource being manipulated and possibly destroyed. I hope and pray the environmentalists prevail. I am delighted to see all of this going on. But, I still wonder how this will all stop the wave of humanity establishing residency in the area and who will create an increasing demand on the aquifer. I have yet to hear that question addressed. Do I dare suggest setting limits on human population size in the region? Bill, I enjoyed the opportunity to meet with you earlier this week. Hopefully, you had a safe journey home to San Carlos. As to your question regarding setting limits on population in the area, I’m sure it will not surprise you to hear that there simply isn’t the political will to do. Cochise County as a whole is more conservative than, for example, the Tucson area (Bisbee being an exception). As we discussed, we are focused on building partnerships using the carrot rather than stick approach. Of course, when your back is against the wall, all that’s left is the stick…. Hopefully, we will not be faced with that, but that depends on how actions to protect the river pan out or not. Your wisdom and experience regarding the San Pedro River issues is greatly appreciated. I’m looking forward to working with you !! !